Seoexp is a Marketing & SEO WordPress Theme. It’s can be used for Digital Agency, SEO, Business, Multipurpose and related any business website. This is highly customizable – looks awesome on tablets and mobile devices. We have included a documentation folder to describe the code structures. 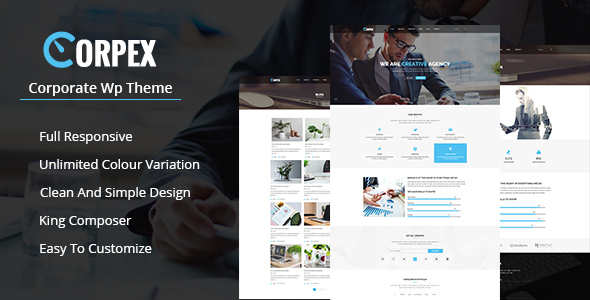 Seoexp is a Marketing & SEO WordPress Theme. It’s can be used for Digital Agency, SEO, Business, Multipurpose and related any business website. This is highly customizable – looks awesome on tablets and mobile devices. We have included a documentation folder to describe the code structures. We believe – we have covered everything you need to set up an SEO or Digital agency, but if there is something that you would like to know then we are happy to help you out. 1. Fixed     : Breadcrumbs Bug fixed. 2. Added     : Add Blog Masonry. 3. Fixed     : Footer Widget Fixed. Freezes during page creation, can’t do a thing with it. Berger – Jorgen Grotdal a wonderful graphic artist! All images are copyrighted to their respective owners. Images used in live preview are not included in the template.